As the trend for chef-created spirits takes off, we put the spotlight on a British gin launched in collaboration with English restaurateur Mark Hix. 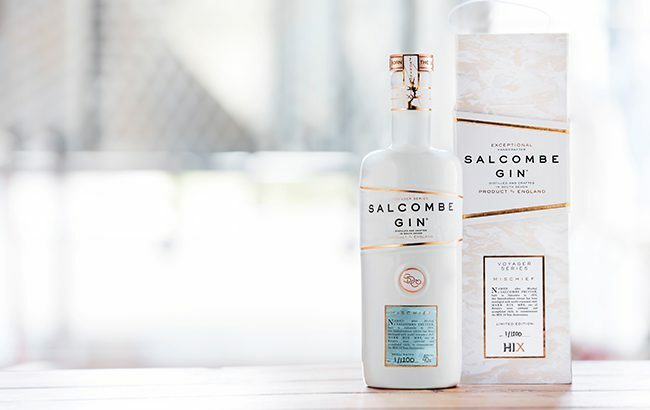 In the second edition of our Spirits Masters series – articles celebrating some of the top-scoring Master medallists from The Global Spirits Masters blind-tasting competitions – we profile Salcombe Gin ‘Mischief’: A collaboration with Mark Hix MBE. Grabbing the top accolade in the Design & Packaging Masters 2018, Salcombe Gin ‘Mischief’ was deemed by one judge as being “outstanding”. The competition assessed entries on appearance alone and spanned an array of categories including vodka, rum, Scotch whisky and liqueurs. ‘Mischief’ gin is produced by English gin brand Salcombe Gin, based in the coastal town of Salcombe, Devon. It is the second expression in the Salcombe Gin Voyager Series, a collection of limited edition gins, developed in collaboration with a world-renowned chef or winemaker. The first gin in the range, Arabella, was created in partnership with Michelin-starred chef Michael Caines. Named ‘Mischief’, after one of the famous Salcombe Fruit Schooners, the expression has been created in collaboration with English chef Mark Hix. Limited to 1,200 bottles, the gin is presented in a white ceramic bottle featuring an embossed outline of the iconic gin pennant and a bespoke debossed copper stopper commissioned for the series. An intricate magnetic box encases the bottle. The gin contains 10 botanicals, including ingredients central to Hix’s culinary offering such as orange, bay and cardamom. It also contains wild fennel flowers foraged from the Salcombe shoreline, samphire and sea buckthorn. To see the full list of medallists from our Design & Packaging Masters 2018, click here. If you’re interested in entering your brand into The Global Spirits Masters, contact Rhiannon Morris – rhiannon.morris@thespiritsbusiness.com – for more details.